Grændalur or “The Green Valley” lies just north of the town of Hveragerði in South Iceland. The area is a part of the Hengill volcanic system which extends from Hveragerði to Nesjavellir by lake Þingvallavatn. 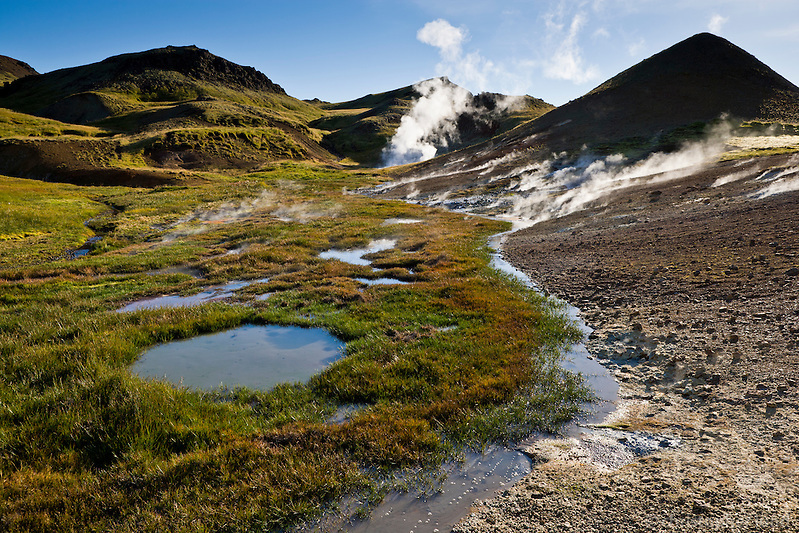 The landscape shows this clearly, here we can find numerous mud pools and hot springs and even a warm stream where it’s possible to take a relaxing bath in the nature. Posted on Wednesday, June 8th, 2011 at 22:11. Filed under: Locations, South Iceland	RSS 2.0 feed.